I’ve posted before about the feelings of vertigo that derive from the sensation of speed and excitement associated with train travel…it’s all very Freudian, and psycheadelic. 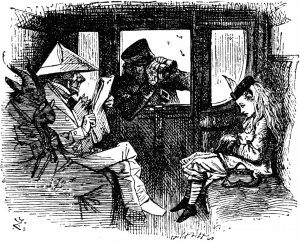 It turns out that the first writing by Lewis Caroll (Alice’s Adventures in Wonderland and Through the Looking Glass) was for a magazine called, For the Train (1856). That’s perfect. 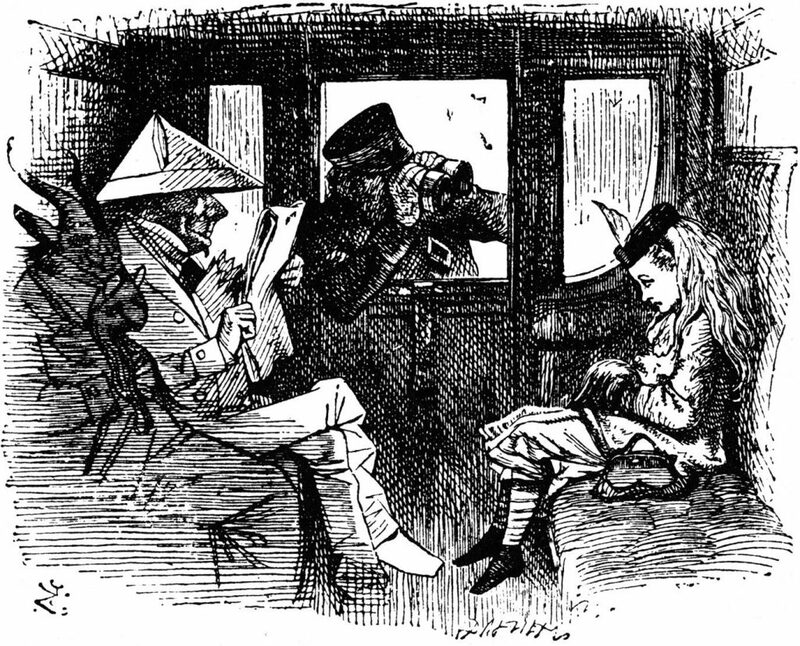 The 19C philosophy of nonsense, deriving from Caroll and Edward Lear, provides an important wellspring for thinking about different realities…and anticipate the counter-culture of the 1960s and post-modernism. It’s all a bit Doctor Who too…Tardis, anyone?